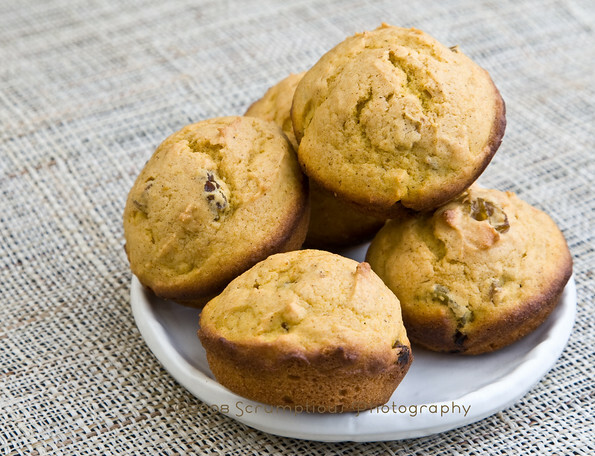 What yummy muffins and gorgeous pictures! I too adore autumn; but WOWZA do I adore your take on this week's TWD baking project - look at those sunny, tantalizing muffins!!! 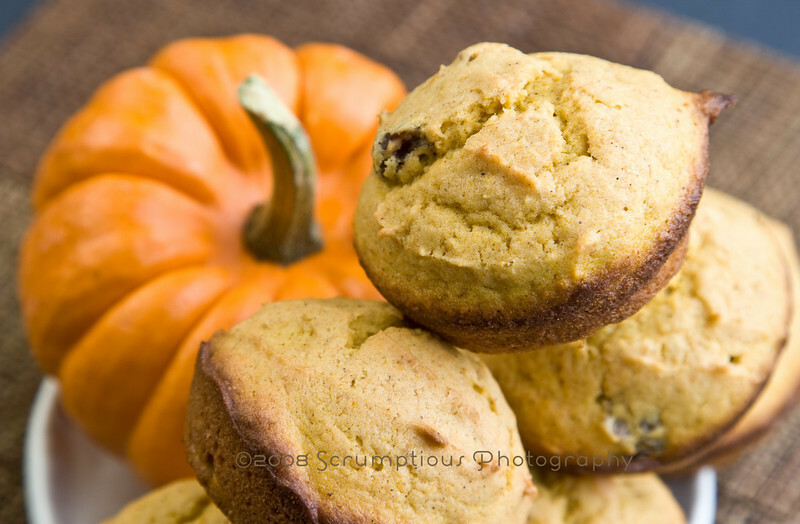 aww....love the photos with muffins in them, but that last one with the baby pumpkin in the muffin paper, just too cute! It's good to see you flambéing. The muffins look super cute. Okay, I was trying very nicely NOT to add any additional butter melting gently into the heat of the muffin...trying and succeeding until I saw your photo. All was lost...your photography is downright crime-inducing! Oooh -- your butter picture! 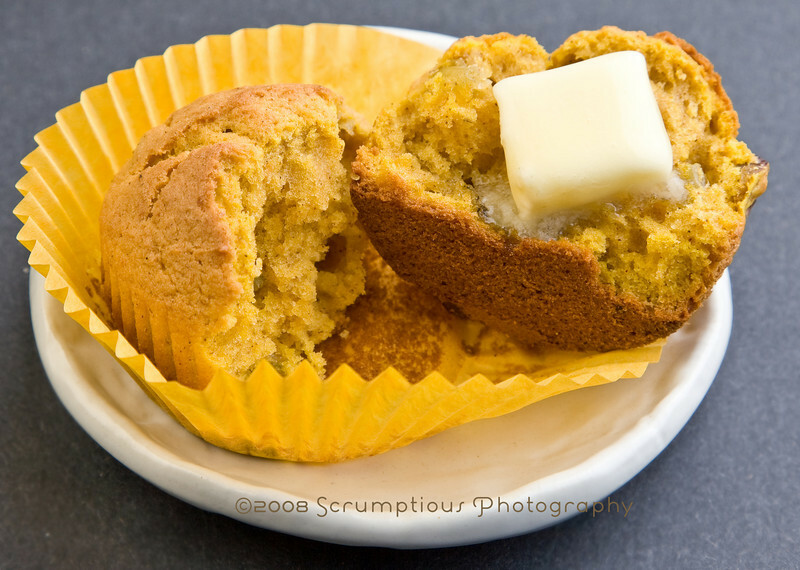 Honestly, I still dream about these muffins with butter melting on top; they are SO GOOD that way! I think I'm going to follow your lread and do minis next time. Yours look beautiful! By the number and looks of your pictures, I bet you are having soooo much fun! It is always a great pleasure to visit, and I'm really not joking! 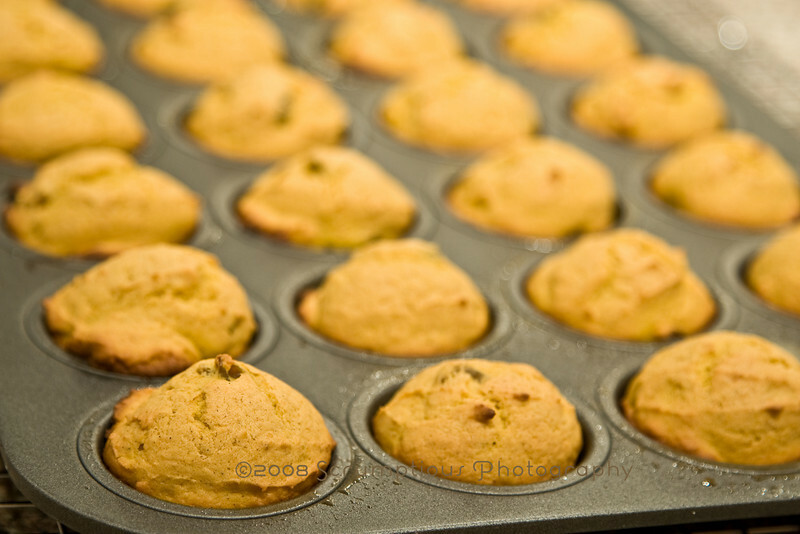 My full sized muffins weren't dry at all but they were cakey. I think a pat of butter makes any bread product better! 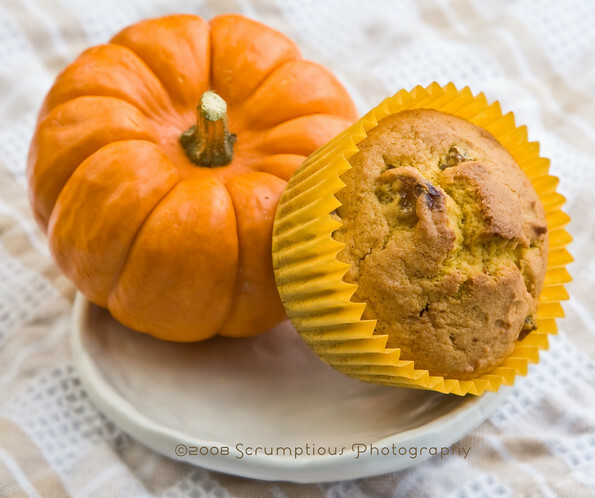 Your photos really say "autumn" - love the mini pumpkin and the yellow muffin paper. I thought they were a little dry too - but I figured it was user error on my part!! Love the mini pumpkin and love the butter!! Awesome photos! I think your mini pumpkin is so cute too- lovely pics, as always! oh! your photos are so beautiful. And I love the little pumpkin, very cute. 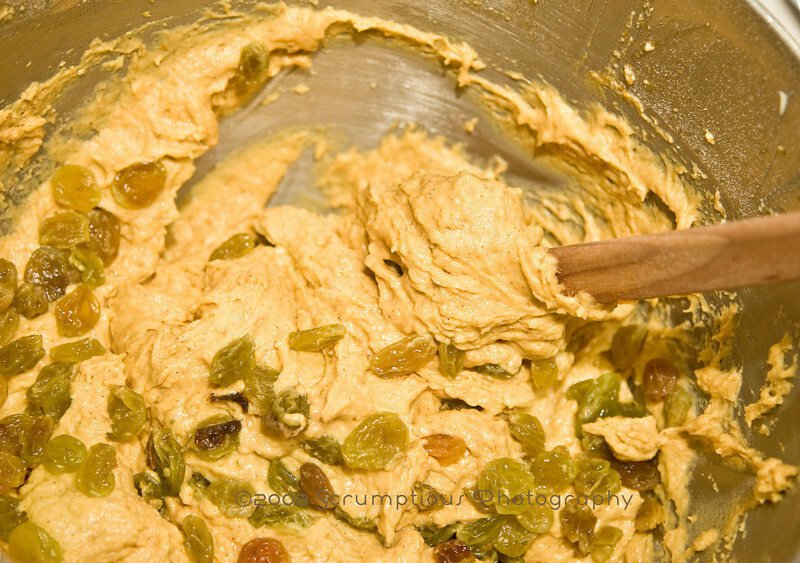 You could also try substituting sour cream for buttermilk. I had to because the store was out of it and they came out very moist and dense. 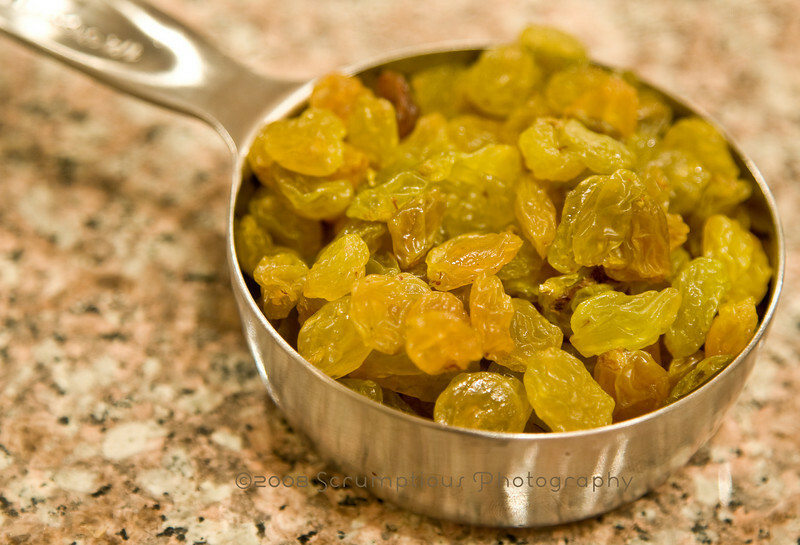 Rum-soaked raisins, good call. I need to remember that trick. That butter photo is killing me! Woa!!!! They look so good. You should be selilng something, anything, dirt even. You'd make me want it with those gorgeous photos. Gorgeous photos and I love the mini pumpkin. Great job! Just found your blog. Wish I could take pictures like you. Beautiful photography! Fabulous photographs! I'll take the muffin with the slab of butter, please. 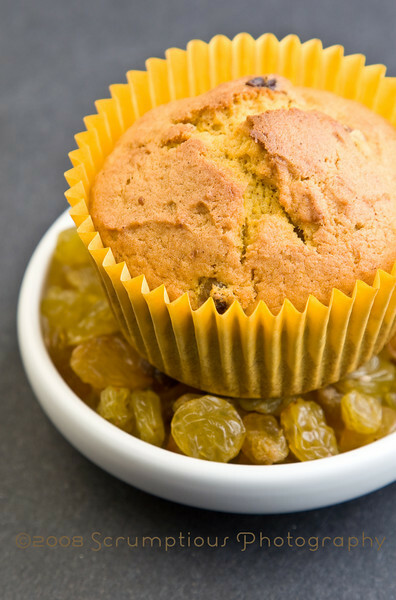 I do like golden raisins for some reason, especially in bread, and I really debated whether to use them for the muffins, but went for currants instead. So cute! I love fall and those cute mini pumpkins! Congrats on your team!!! Best of luck! Oh man, i miss cupcakes and muffins. They have cakes and pastries but none of the above...Your blog makes me look forward to coming home! i think i'll try it with oil next time too! they were indeed a little on the dry side. 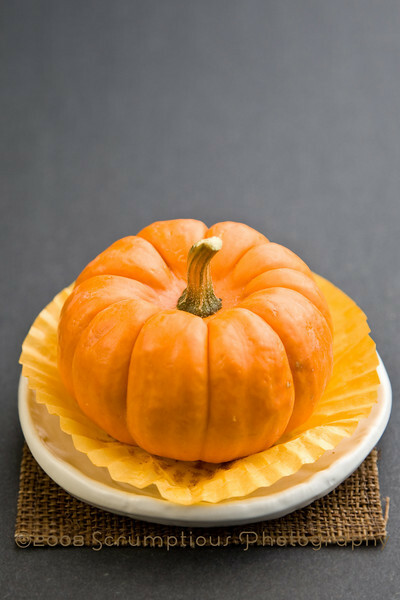 THe mini pumpkin looks oh so sweet! @shirz - our recipe for nov 4 is rugelach - i thought of you :) can't wait to see you! I thought these were a little dry too. I love what you did with them, though. They look great and your presentation is awesome! Your muffins look perfect! Good luck at the nationals! I'm sorry you found it a bit dry. But it does look perfect! Hey, congrats on your rugby team's success. Best of luck to you in the next tournament. Pretty pictures! Your mini's look so cute and the props... perfect! LOL, we just went yesterday to get our pumpkins. Those yellow cupcake papers makes your pics look so sunny! Beautiful!